Pat and Sonia will have you tapping out a beat with their rhythmic collaboration! Was that fun or what? Pat’s poem and Sonia’s art are a perfect pairing! Love it! 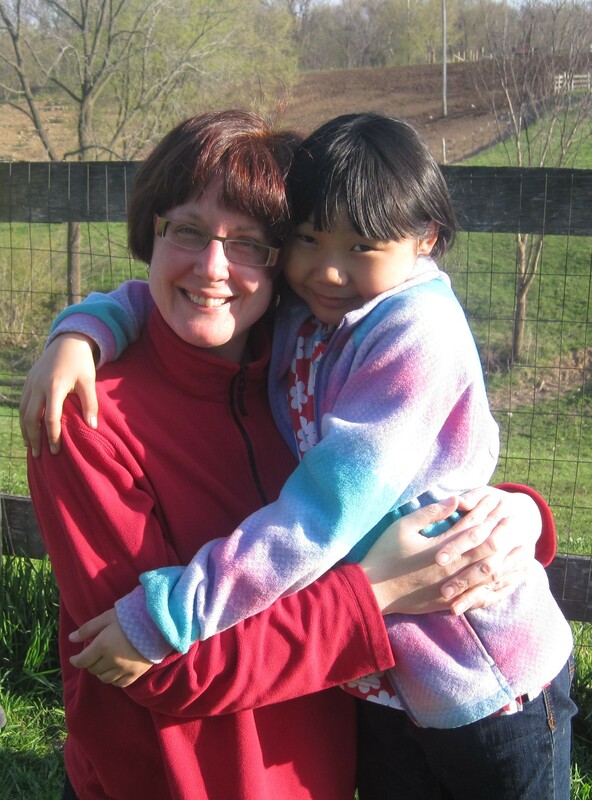 Here is Pat’s favorite photo of her and Sonia. Many thanks to Pat and Sonia for sharing their collaboration with us today! 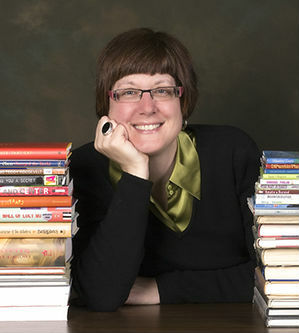 Meet Pat: Pat Zietlow Miller got 126 rejections before selling her first picture book, SOPHIE’S SQUASH. Since then, she’s sold eight additional picture books. Two of them are coming out in 2015 — WHEREVER YOU GO from Little, Brown in April and SHARING THE BREAD: AN OLD-FASHIONED THANKSGIVING STORY from Schwartz & Wade in August. Pat has also won the Golden Kite Award for picture book text and the Ezra Jack Keats New Writer Honor. Thanks to Robyn Hood Black at Life on the Deckle Edge for hosting today! 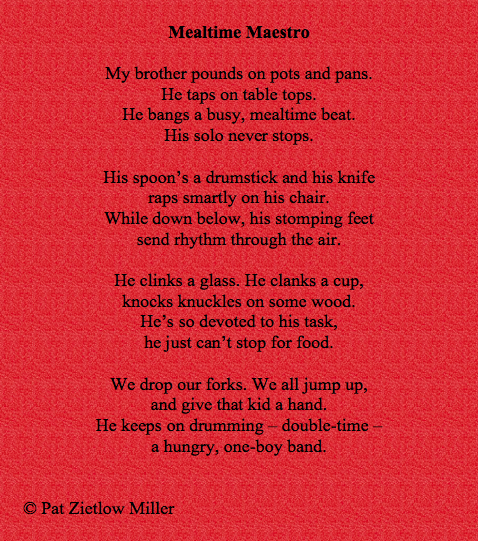 This entry was posted in A Great Nephew & A Great Aunt, Poems and tagged A GREAT Nephew & A GREAT Aunt, collaboration, National Poetry Month, Pat Zietlow Miller, Poems, Poetry Friday. Bookmark the permalink. Reading Pat’s fun poem, I found myself joining in with some foot-tapping and tummy-rumbling of my own! I also love the style of Sonia’s artwork– clean lines and bold simplicity. I’m joining the applause at the end of the poem (and in these comments!) for this fabulous duo! This is such a joy! And of course I am a tremendous fan of SOPHIE’S SQUASH (want to HUG that girl) and can’t wait for Pat’s forthcoming books. 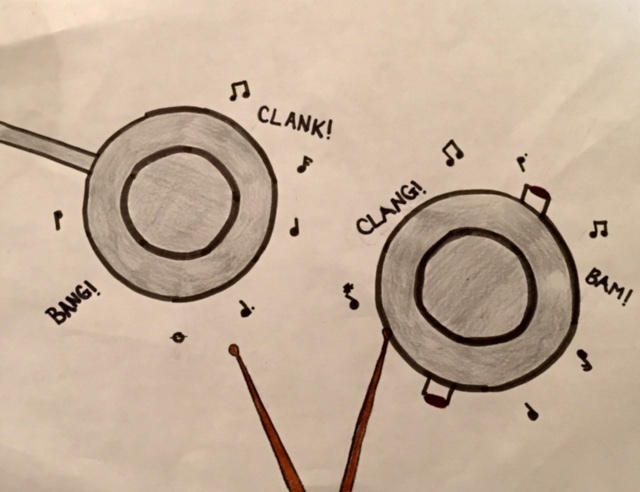 Great pots and pans – I love those musical notes! Love the poem and love the illustration. Thanks for sharing them here. I will be looking for Pat’s new books. I am a huge fan of Sophie’s Squash. Now this is a stellar collaboration! Double-time applause to Pat and lovely artist Sonia. Thanks everyone! Sonia and I really appreciate your comments and well wishes! Your poem and illustration made me want to drag out all my pots, pans, and utensils and start my own one-woman band! I love the simple, clean lines of the illustration, too! Thanks for the wonderful post! Great poem, Pat. Sonia, my son was a percussionist and would love your artwork for the poem. Thanks for sharing the story of all of those rejections. Perseverance wins the day! Hooray! I love the poem, and the art, and the photo, too! We’ve had many an impromptu drum session at our house. 🙂 Congratulations on your upcoming books! I know what you mean, Diana! I can’t help but tap when I read Pat’s poem. And Sonia’s illustration is all kinds of onomatopoeic awesomeness!!! I can attest, as the sibling of a drummer, that every utensil, every pen or pencil, even carrot sticks and asparagus stalks, become a rhythm-beating tool all day long! Great pairing of poem and illustration! Carrots and asparagus? Now that is fun! Thanks for coming by, Cathy! I could really visualize this as I read! My mind took me back to when my kids were old enough to scoot and crawl around to grab everything out of the cabinets. 🙂 Perhaps Sonia did the same at that age? Great collaboration! Me too, Carrie! My son loved to play the dutch oven with the wooden spoon/s! Pat and Sonia, this poem and picture make me want to dance! Wonderful collaboration! Adorable poem, illustration and mother/daughter photo! Pat had me at the title — anything about food, meals, tableware and I’m there! Such a fun, rhythmic poem with very cool art. LOVE the photo of Pat and Sonia. Thanks for this treat! This does have Jama-love all over it, doesn’t it??? Wonderful beat to the poem at dinnertime. People do get excited before dinner. I can just hear that tap, tapping with the forks and knives! The picture is just right, “clang, clack, bam”! Thank you, Pat and Sonia. Wonderful poem and extraordinary art. Sonia, you are very talented. Wonderful poem and artwork! And I love the photo of Mom and daughter- such love! I knew from the title ‘Mealtime Maestro’ that I was going to love the poem! And it’s a great ‘accompaniment’ to Sonia’s fantastic artwork!